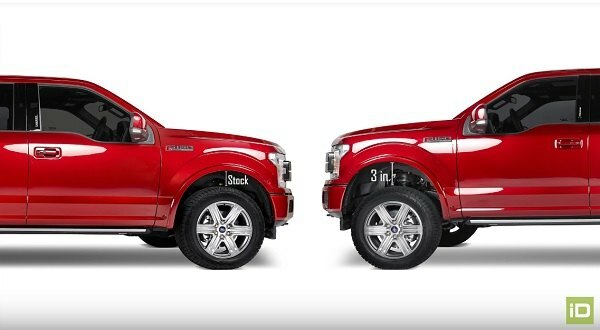 New Product Review: 2018 Ford F-150 Tuff Country 3-Inch Lift Kit at CARiD.com - Ford F150 Forums - Ford F-Series Truck Community. Enhancing the looks and performance of your truck has become easier with the recent release of low buck 3-inch lift kit from Tuff Country. The kit is manufactured from the finest quality materials to ensure everlasting durability, years of smooth operation for your all-new 2018 Ford F-150. 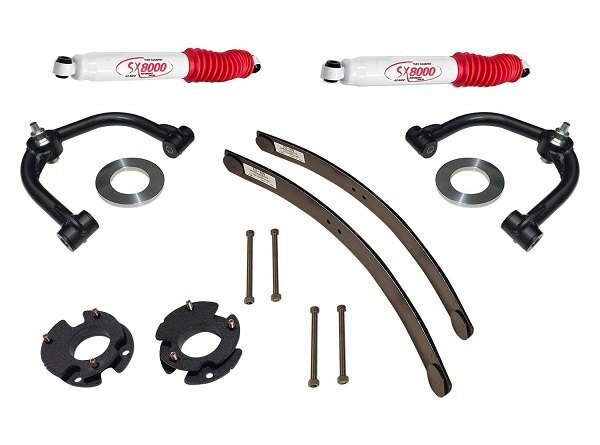 With just a minor trimming Tuff Country lift kit will allow the installation of up to 35"x11.5" wheels and provide you with a good driving comfort and better ground clearance. Tuff Country kit comes with everything required for the installation, which by the way usually takes good 5-7 Hours. Uniball Control Arms, as well as Rear Add-A-Leafs, are also included. Customize your truck in any way you want and provide it with some extra clearance at the same time with the newest 3-inch lift kit from Tuff Country.